Today, we’re going to be taking a look at the BLACK+DECKER Pivot Vac, a 20-volt cordless handheld vacuum cleaner. The most notable design feature of the BLACK+DECKER Pivot Vac is the pivotable head itself. The head can be completely closed for compact storage or it can be open to a variety of cleaning angles, allowing it to reach harder to reach spots. To pivot the head open and close, you simply push down on the pivot button, which unlocks the pivotable feature allowing you to slide it in either direction. And then, of course, we have the power button as well, which just slides back and forward. This Black & Decker cordless handheld vacuum is 18 inches long when fully extended and 6.9 inches tall. 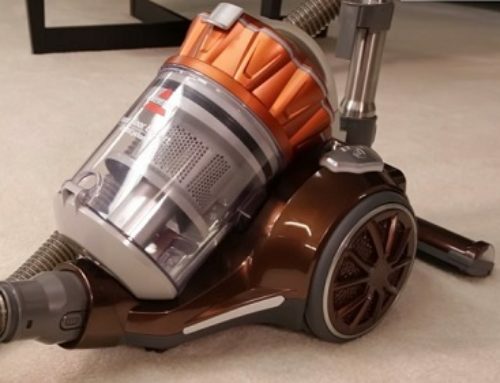 This vacuum is 6.9 inches wide at its widest portion and 2 inches wide on the cleaning head. Lastly, this vacuum weighs 3.8 pounds. Let’s take a look at the dustbin and the filter next. Along the side of the vacuum, we have the dustbin simply open up this container which allows you to knock that up against the trashcan and empty that out as needed. And then on the other side, we have the filter. To get at the filter, we have to hold this release button which then lets you simply rotate to unlock that and then we have access to the filter which simply pops out. You can then clean that or replace as needed. 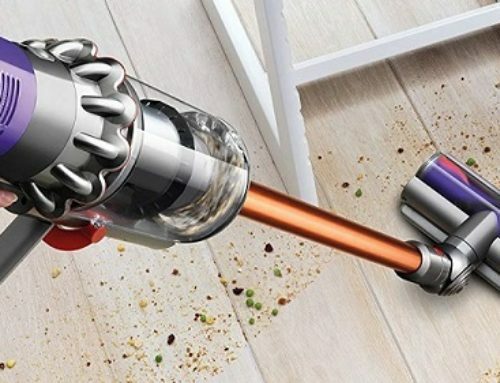 This vacuum cleans using cyclonic suction as powered by a 20-volt battery. 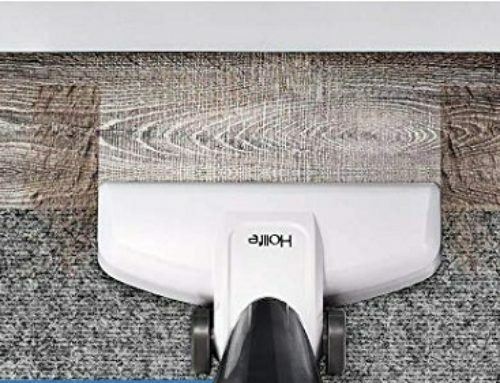 Of course, we have the accessories as well with that dusting brush or the extendable crevice tool as well which helps to get into hard-to-reach spots or just different types of cleaning that you may need for your home. Now, one thing I really like about this vacuum is that all of the accessories are built into the vacuum itself. Along the nose the vacuum, you’ll see the dusting brush which simply slides into position. And then in addition, we have the extendable nozzle for hard-to-reach spots that just slides out as well. We complete a total of 12 unique tests testing each of the four debris types on each of the three floor types. For each cleaning tests, we make cleaning passes back and forth over the debris field and measure the amount of debris sucked up. Overall cleaning performance on the BLACK+DECKER Pivot Vac was pretty solid. It scored a 99% or higher on 8 out of our 12 cleaning tests. The only major area where the BLACK+DECKER Pivot Vac struggled a little bit was simply the cereal test. With something like cereal or really any type of larger debris, there is a potential for a vacuum like this to clog more and that’s what we experienced with the BLACK+DECKER Pivot Vac. As a result, it wasn’t able to clean quite as efficiently for cereal on the various floor types. Despite that, most other debris types it did extremely well, scoring near perfect or very close to it. As with most handheld vacuums, usability was fairly straightforward as was set up. To set this guy up, we simply unboxed it, set it on the charger. After a few hours, we were good to go. Using the vacuum, again, very simple. We’ve seen all the accessories and tools, popping out the filter and the dustbin is very easy, and then powering the unit on and off also just a push of a button. Maneuverability on this handheld vacuum cleaner really is about what you make of it. As a handheld vacuum, it sort of goes where you go. It’s 3.8 pounds which is definitely on the lighter side as far as handheld vacuums go. In addition, it comes with many of the tools to help you reach into tighter spots. We’ve got the pivoting head, of course. In addition, we have the crevice tool extender along the nose, and with that slid back in, you can also then use the dusting tool which is great as well for different messes or different stuff that you may need to clean up. Overall, maneuverability I would say is pretty good. Maintenance on this vacuum is fairly straightforward. We, of course, have the dustbin, simply empty that out as needed. Then you also have the filter. You want to periodically wash that to help extend the life, and then again, replace as needed. On an annual basis, you can expect to spend about $20 or so really depending on how often you do need to replace that filter. With regard to replacing the battery, we unfortunately were not able to find a replacement battery for this, so when this vacuum is dead, it’s probably dead for good. All our vacuum cleaner tests go through our standard noise decibel test. For this test, we use a sound meter to measure noise in terms of decibels. For this test, we use the vacuum at full power, have the sound meter about three feet away, and it’s in a carpeted room. During that test, the vacuum cleaner came back at about 78 decibels for noise. For this test, this room is a little bit different. We have hardwood. And this test comes in at around 83 decibels. Overall, I really like this vacuum. It provides a pretty good value coming in at around $70. Stuff I like about this vacuum: definitely the pivotable head, the accessories that are built into the nose, and then the quick release on the dustbin is very nice as well, and then a fairly quick release for maintenance on the filter itself. Stuff that we are really not overly impressed with: again, the charging base, just not a really great looking piece of plastic and just sort of flimsy as well. And perhaps the biggest problem I have with this vacuum is simply the battery. We weren’t able to find a replacement battery which is really aggravating because when the battery is dead, then the vacuum is more or less useless. You could get it serviced. Maybe you’re able to find a Black & Decker dealer that can replace that battery but it’s not something we were able to easily find online, which is a big con for me.